It is that time of the year again when we start looking for presents for our loved ones. 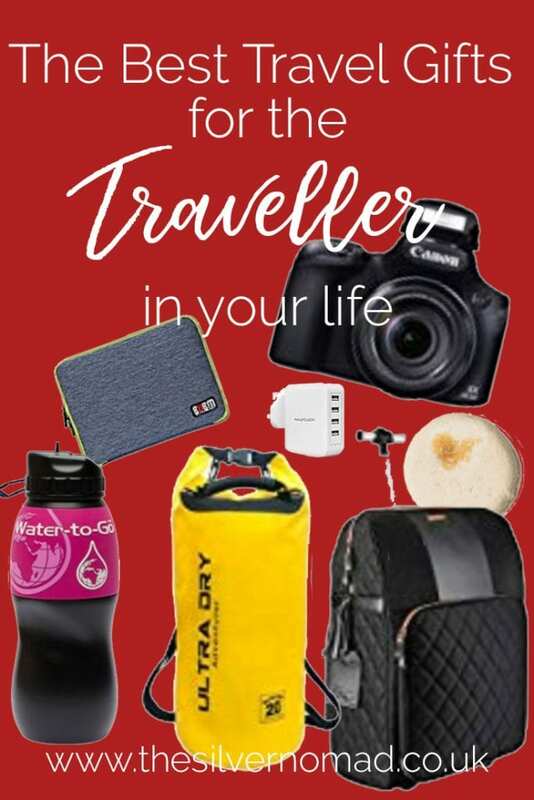 To save you some time, and maybe some money, I’ve created this list of gift ideas for the traveller or would-be travellers, ideal for Christmas, birthdays or just general gifts. *This post contains affiliate links. For more info, see my disclosures here . Three years after I originally bought it, my Osprey Farpoint 40 Backpack is still going strong. I find it the ideal 40l carry-on rucksack for travelling. Fits in overhead lockers and is the right size for Easyjet, Ryanair and most budget airlines, but big enough to take you from a weekend to 3 weeks! I have used it for trips to Europe, Bali, Botswana and throughout the UK at it fits every occasion. It also curbs me taking to much – a usual dilemma for me – or bringing too much back. I particularly liked that is has 3 handles (top, side and an over the shoulder) as well as fold away adjustable shoulder straps. The compression straps keep everything tightly in and there is padding for my laptop and iPad as well as many pockets for all your little extras, including one for a water bottle. If you need a versatile cabin case, what better than to buy a case designed by one of the UK’s best travel bloggers, Monica Stott of The Travel Hack? The case has a generous 28 litres capacity in the main compartment, but still be 55 x 40 x 20cm suitable as a carry-on for over 20 of the major airlines. With her expert eye, Monica has included great details such as a toiletries pocket, internal document pocket, a padded slot for your laptop, rose-gold detailing and a fab pink lining and even a compartment for your handbag. Whether I am abroad, in the UK or even at home, I tend to use my Osprey Ultralight Stuff Rucksack every day. It folds away into a small pack which I can pop in my handbag, or hang from my rucksack. Excellent for a day’s hiking, a trip to the shops, or popping in a towel and off to the beach. Made with Deluxe AirMesh harness for comfortable carrying, it has a zippered panel access and stash pocket and packs into its own carry case. There is a stretch mesh side pocket for a water bottle and an internal security pocket. Really light at only 0.09 kg. Hydration can be an issue when you are travelling and with the rise in the plastic pollution problem. Sometimes the main issue is how can you get pure clean drinking water when you are not sure of the quality of the water? I am proud to be working with Water-to-Go Bottle. Their bottles have a built-in filtration system which removes over 99.9% of all microbiological contaminants and more. They are FDA approved and the bottles and all materials are BPA free. Weighing in at just 138g before you add the 75cl of liquids, they are also light-weight. Each filter lasts around 200 litres, about 3 months worth. Water-to-go are now my go-to Water bottles! Having the right plug for each country can be a pain, but if you pack an international multi-plug adapter or two you will always have the correct plug. These international travel plugs ones are a great gift for international travellers, as you can slide the prongs in our out depending on which country you are in. There are also four USB ports to charge all your devices. To keep all the plethora of phones, cameras, money etc dry when we are out in boats, snorkelling, canoeing or other water-based activities, we use one of the UltraDry Sacks which are fully waterproof and perfect for keeping things safe and dry. Sometimes it is easier to have your camera on your side rather than around your neck and you can let your shoulder take the strain. Your camera is easily accessible in one movement. The strap is fully adjustable and comes with a screw-in plate compatible with most cameras Nikon, Sony, Canon, Olympus, Pentax, Minolta and so on and a secure pocket for an extra memory card or two. This great little camera is light enough to carry around with you, but with the 60x zoom you can capture the most exquisite detail of distant wildlife and ultra-wide landscapes. Perfect camera for travelling, buy from Amazon. For all the selfie-takers, vloggers or those who just like being in their shots, this cross between a monopod, selfie stick and vlogging tripod comes with a ball head and clamp for use with your smartphone, camera or GoPro. An essential bit of kit for any adventurer with casings that let you film underwater and attachments that secure it to a motor or ski helmet, a great gift for any travellers. The camera is waterproof to 10m without housing or use the Capture app to live stream. Most travellers use cameras, some use GoPros and others use drones, and all the information is stored on SD cards. It is always useful to have more than one card, as just as you get ready to take that photo of the phenomenal sunrise, the card flashes up as full! Be your travellers best friend and buy them a spare! With multiple SD cards for drones, GoPros and cameras, having a place to store all the tiny cards is vital for a traveller. Choose a cardholder that is shock, crush, water and corrosion proof to protect your files. This high-quality aluminium one holds up to 8 cards in a clam-shell, tough case for maximum protection. I love my DJI Mavi Pro and the Combo Kit comes with all the additional bits I need: The Mavic Pro, 3 Flight Batteries, In-car Charger, Battery Charging Hub, 5 x Quick Release Folding Propellers, Battery to Power Bank Adapter and a neat Shoulder Bag to keep it all in. This is the perfect portable drone and easy to use with your phone or iPad. This is the big brother of the Mavic, the rather lovely DJI Phantom 4 Pro+. A serious bit of kit and comes with its own controller and produces amazing photos and videos. We all seem to have endless items that need charging via a USB – phones, tablets, GoPros, Power Banks, so much stuff! Having a charger that has 4 USB slots is an advantage for any traveller. Using your phone or laptop with a WIFI connection seems to be essential for most travellers nowadays, but with free wifi comes risks. Most of us leave ourselves open to having our data hacked when we connect to the free wifi available in coffee bars, restaurants and lodgings. 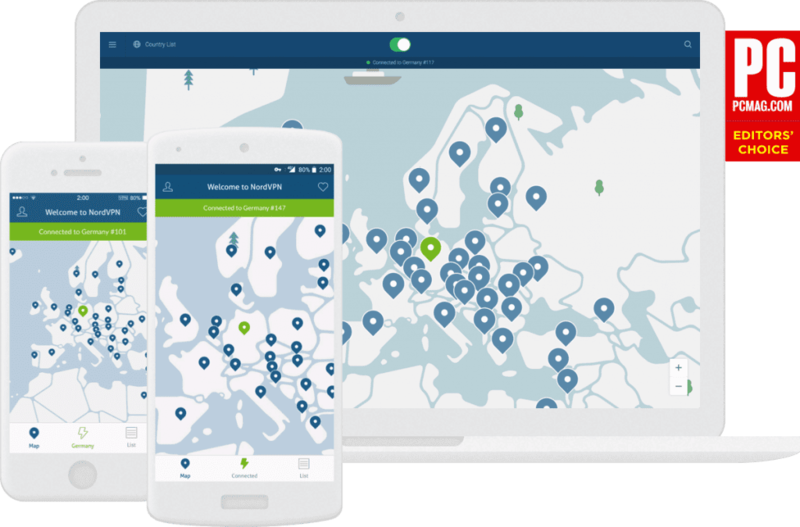 Using a VPN is essential to protect yourself and an ideal gift idea for digital nomads, business travellers, or anyone who uses free wifi hotspots. A VPN allows users to use free wifi but safely and securely so no-one can hack into your personal information. Read my article on Why I use a VPN when I Travel. Also, some sites are blocked in other countries and a VPN will allow you to access your sites and even stream your favourite movies and programmes on Netflix. Definitely one of the best gifts for a travellers! Turn that heap of tangled leads, chargers, USB sticks and adapters into perfect order with this great travel gear organiser case from BUBM. With two zipped layers for separating everything out, featuring 10 elastic rings and 5 small netting area on the top layer and 2 mesh bag and a velcroed pocket on the other, big enough to pop your iPad or tablet in. Perfect for the disorganised traveller. As I work full-time and take my work with me wherever I travel, I carry my MacBook Pro laptop with me wherever I go. It is the ideal machine for blogging, photo editing and web work I need, but still light enough to carry about with me. Available in 1, 2, 4 or 5TB these slim external drives are a godsend, light enough to slip in your bag and working with a USB they make backing up our photos, files and documents so easy. It is always frustrating when you want to take photos underwater and all you have is your mobile. Well, with these great waterproof cases, you can take your phone with you and still take photos using the silicone membrane screen which allows you to use your touchscreen. The case can be submerged down to 6 metres and it has full shockproof protection. Available in 8 different colours. 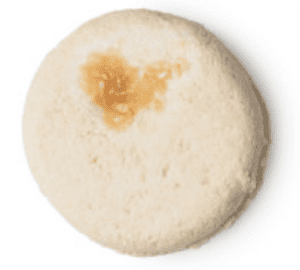 The guys at Friendly Soap make a fabulous range of soaps, shampoo bars and cleansing bars. The Travel Soap is especially useful as it is designed to be used as shampoo, body & hand soap, shaving soap and even has deodorizing properties. All of them are great to just pop in your hand luggage, so no plastic bottles and no liquid to declare! They are also Vegan-friendly and have no Palm Oil, yay! My favourites are the delicious Lavender & Geranium Shampoo Bar and the Cocoa Butter Facial Cleansing Bar, but for travelling The Travel Soap is a must! With the move to lessen our use of plastic, these biodegradable bamboo toothbrushes come in a pack of four and are BPA and 100% plastic free with medium bristles and eco-friendly they are an ideal way to lessen your plastic use. At the moment, these are only available in the US, but these great alternatives to toothpaste are 100% gluten-free, vegan, and cruelty-free. All you have to do is bite down on one, wet your toothbrush and start brushing and it foams up like normal. Available in Naturally Whitening Mint and Activated Charcoal, they are great for travellers. I tried out 3 of the Lush Solid Shampoos in Honduras this year: Jason and the Argan Oil, Seanik and my favourite Honey I Washed My Hair. All three were easy to use, foamed well and made my hair squeaky clean. However, they can be a bit messy, so I would recommend getting a Round Tin with them. This amazing stuff changed my hair from being a frizz-bomb to being smooth and sleek. It is a leave-in styling conditioner which contains 9 botanicals and helps restore lost moisture due to excess sun, sea or humidity. If the traveller in your life wants to make a career out of blogging, then I would highly recommend The Bloggers Course. Devised by Monica Stott of The Travel Hack, the Bloggers Course covers all aspects of blogging life from selecting your niche, social media, press trips to going pro. There is also a dedicated Facebook group who support each other and are there to encourage and help each other out. Alex runs his evening photography workshops to give you lessons in how to photograph at night in London and introduces you to using manual settings on your camera instead of Automatic. 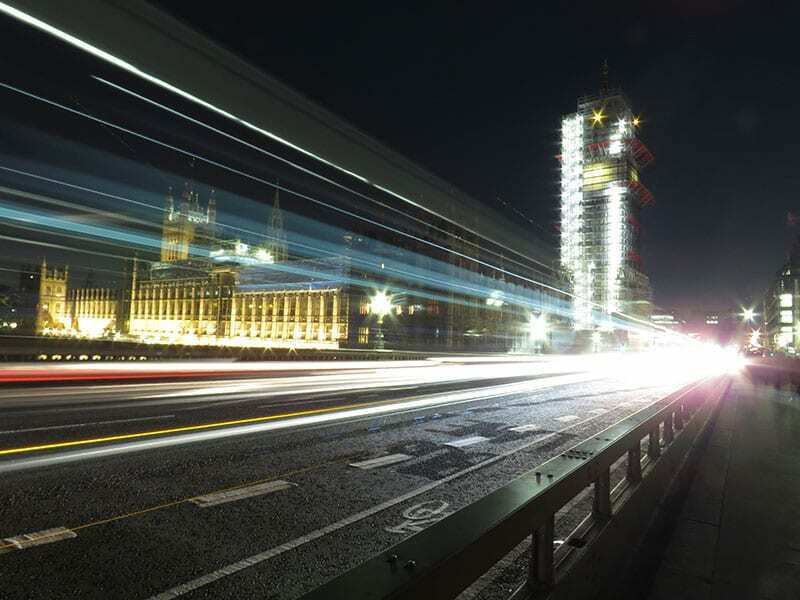 Long Exposures to get the amazing shot of traffic on Westminster Bridge was just one of the things I learned on the course. Check out Airbnb Experiences in your area for similar courses or book Alex on the link below and read about the Photography Workshop I took here. I gave this to course to Alan for his birthday present. We haven’t actually been on this course yet, but we are booked to go in January. The DEE is a group that is all about helping people learn more about renewable energy by creating environments that encourage them to try new, practical experiences and build things that can be inspirational and functional at the same time. Click on the link below for more details. Do you fancy giving someone a surprise holiday? With the WOW Trip website, you can arrange a short break in Europe. All you need to do is enter which airport you want to fly from, how many people and how long the magical people at WOW Trip do the rest. Your flights and accommodation are arranged for you. Imagine turning up at the airport with no idea of where you are going? It could be Amsterdam, Prague, Stockholm, Athens in fact from London there are 46 different destinations. You have the choice of finding out where you are going 48 hours before, or be brave and find out at the airport (they will send you what you need to pack, times and which terminal beforehand!). If you still can’t think of the best travel gifts to buy, why not get an Amazon eGift Card and let them choose something themselves!